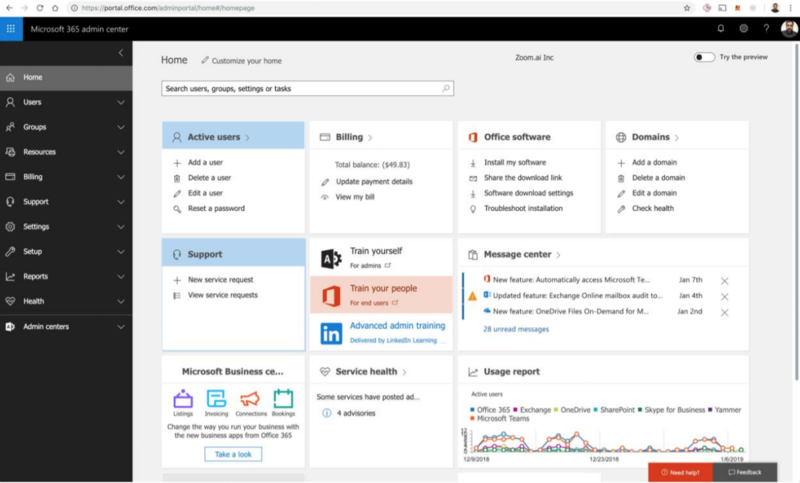 The Zoom.ai Microsoft Outlook Plugin allows you to quickly access your automated assistant and off-load tasks such as meeting scheduling - all without ever leaving your Outlook inbox. In Office 365 admin portal an administrator can install the plugin for their entire organization at once. 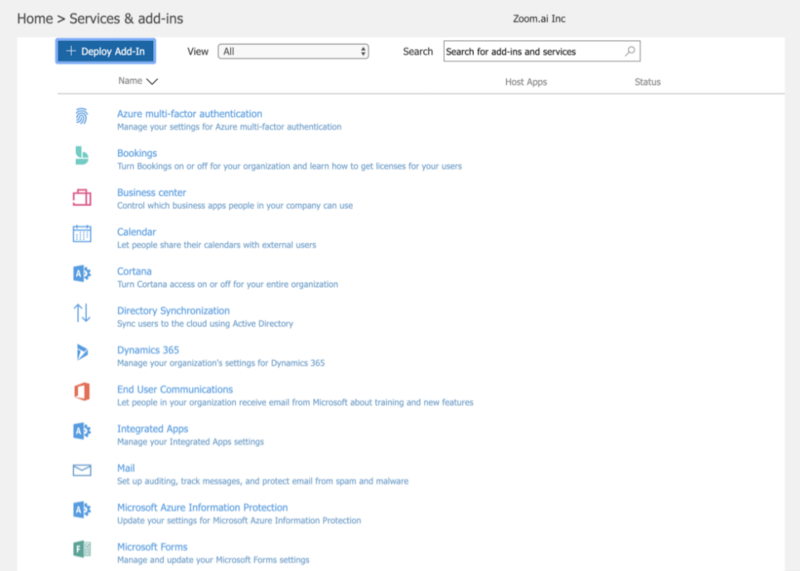 An admin can also select to install for only individual members within a team. 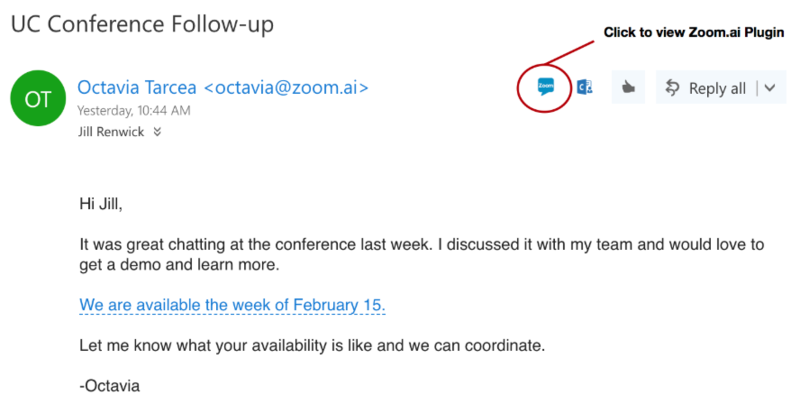 Once the plugin is installed you can easily access it from your Outlook Inbox by clicking the Zoom.ai plugin button. Click again to close. The first time the plugin is opened, you will see an “Authenticate” button that allows you user to authenticate and log in. 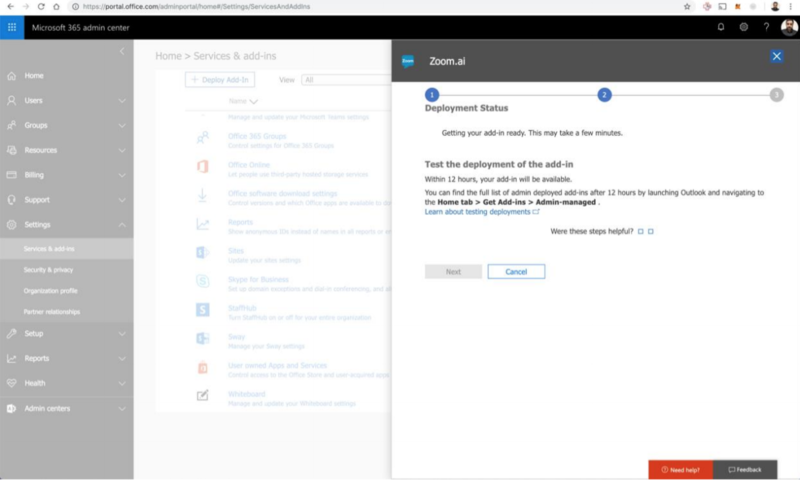 You click on “Authenticate” to log in with your MS account. 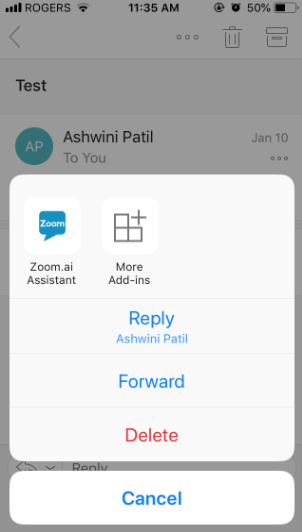 Display New window: Next the message “Zoom.ai Assistant wants to display a new window” appears. 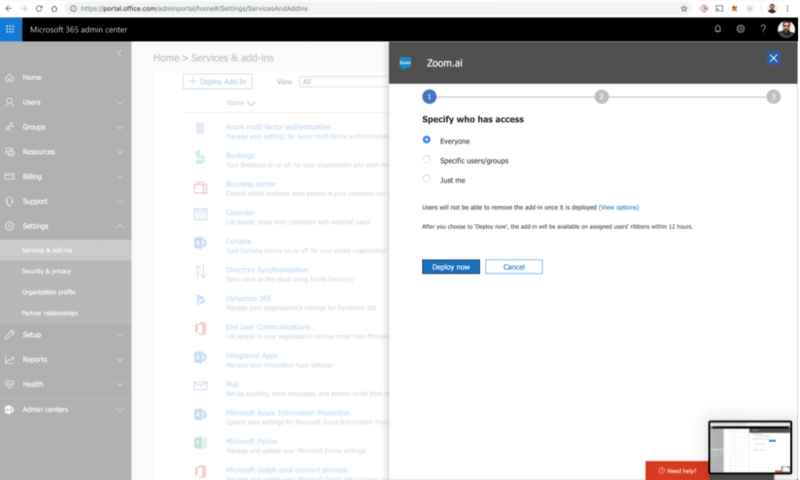 MS Account Login: The MS Account login pop-up opens in a new tab/window. You're now authenticated and can use the Zoom.ai Plugin.